As promised, here I am to tell you to go elsewhere. My Father's Day piece, about My Dad, is in today's Boston Herald. If all biological fathers could take lessons from Your Dad, the world would be a better place. Mr Sullivan was a fine man. You have every right to be proud of him. And to be proud of that piece of journalism. I hope you got lots of good comments on the BH site. 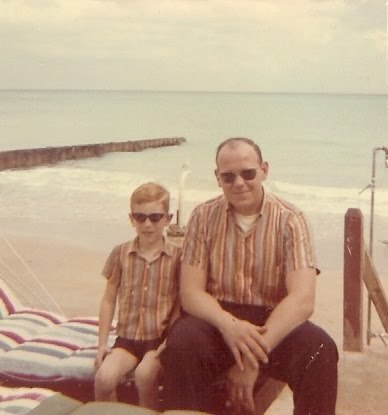 And that's a great picture.... matching shirts and Blues Bros sunglasses!